Acupuncture, Cupping, Gua Sha, and Herbs set our body up for high potential healing! We are here to support you as you build and nourish a healthy life! Acupuncture sets the stage for our bodies innate ability to heal and repair itself. The Chinese have long recognized (about 5,000 years ago) the existence of bio-electric fields in the body, called meridians. The life force of our body (Qi, pronounced “chee”) flows through these meridians similar to the way blood flows through our veins and arteries. Meridians must remain open for the proper free flow of life force (Qi) as this energy is our pivotal factor in the maintenance of balance in our bodies. Blockages in this electrical circuitry can negatively impact the brain, the lymphatic system, circulatory system and other control mechanisms for all of our vital organs, resulting in disease and pain. 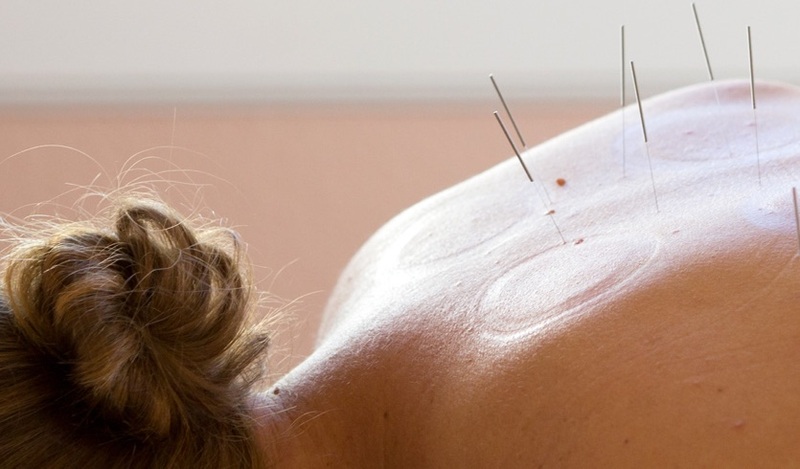 How does Acupuncture work? What are the benefits? Click here to get more information about acupuncture. Acupuncture is a medical technique in which thin needles are inserted into the skin at precise points along 12 meridians (pathways) in the body to open the pathways of Qi, therefore unblocking pain and disease. The Qi is our life energy and acupuncture is our tool to achieve whole body and mind wellness. Gua Sha is a healing technique of traditional east Asian medicine. Sometimes called ‘spooning or scraping,’ Gua Sha is defined as instrument-assisted unidirectional press-stroking of a lubricated area of the body surface to intentionally create therapeutic petechiae called ‘Sha’ in the subcutaneous tissue. In laymen’s terms, it can look like a hicky afterwards for a few days! Gua Sha breaks up stuck myo-fascial tissue from injuries. We use a porcelain rice spoon or a jade instrument (smooth surface) and a therapeutic herbal liniment for Gua Sha. Modern research shows Gua Sha produces an anti-inflammatory and immune protective effect that persists for days following a single Gua Sha treatment. This accounts for its effect on pain, stiffness, fever, chill, and cough. 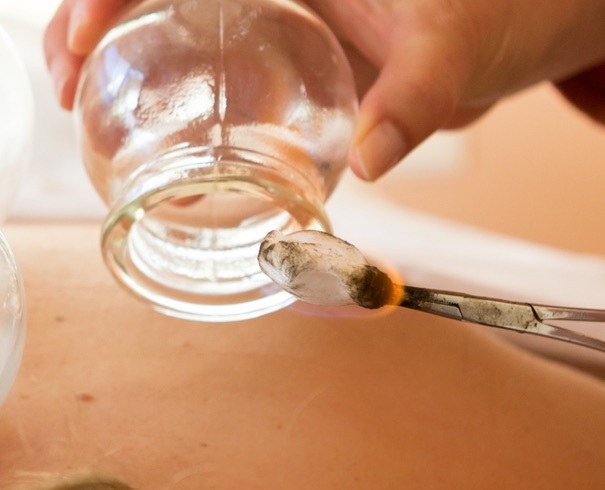 The ancient art of cupping has been utilized by healers and lay people in many cultures. Cupping is a suction technique designed to pull toxic build-up and muscle spasm from the body’s deeper tissue to the surface of the skin. The cells of the body use oxygen and give off carbon dioxide. When the energy is blocked, the cell waste or carbon dioxide gets blocked. This is called lactic acid or toxic build-up. Once the toxic waste from deeper tissue comes to the superficial layers via the cupping technique, the body is able to eliminate waste through the capillary system. Cupping brings oxygenated fresh blood to the area of pain and stagnation, which revitalizes better blood flow. Infants, children, and adolescents respond very quickly to Traditional Chinese Medical treatments. Treatments are tailored to meet each child’s health needs using different modalities such as: herbal therapy, nutrition, cupping, tuina or massage, Shonishin, acupuncture, moxibustion, aromoatherapy and auricular therapy. Many common pediatric complaints are effectively treated with Chinese Medicine as well as complex cases. The calming effects can ease the common cold/cough, digestion problems, hyperactivity, sleep disturbances, teething, rashes, to name a few. The practitioner also teaches the parent how to treat their child at home to continue daily treatment as needed. Some couples say they are ready to have a baby and boom! They are pregnant! Other couples come to me and tell me they have been trying for 2 years, 3 years, 10 years to no avail. This is a stressful emotional life experience to go through. Traditional Chinese medicine (TCM) is here to help you find balance in your hormones and bodies, to strengthen your fertility, and calm emotional stress https://branchesofwellnessacupuncture.com/traditional-chinese-medicine-fertility/. Whether you are embarking upon IVF, IUI, or trying naturally, TCM is here to support you with acupuncture, herbs, supplements, and energetic nutrition (foods appropriate for your body) to greatly increase your health for fertility https://branchesofwellnessacupuncture.com/fertility-food-herb-supplement-concepts-traditional-chinese-medicine/. We reference allopathic diagnostic labs, functional medicine tests, listen to your signs and symptoms, and diagnose with TCM to create a treatment protocol that is right for you. We will be your guide through your process. Here is a great reference for acupuncture for fertility. Acupuncture and the adjunct treatments (Gua Sha, cupping, moxibustion, electro-acupuncture) are great tools to clear pain and inflammation. Pain is blocked energy (Qi), blood, and fluids, a stagnation stemming from an injury or from systemic inflammation. When receiving acupuncture, a signal is sent to the brain to release endorphins to relieve pain and to invigorate Qi and blood through the pain center. This method helps to relieve swelling and stiffness. The needle is the tool to trigger your own bio-electricity/Qi energy to heal yourself. Pain can affect every aspect of ones life if it becomes chronic and acupuncture treats the root cause of pain. Detox should be part of our life each year whether one chooses a 21-30 day, to a 3 day juice cleanse, or modified cleansing to work for your daily life to clear inflammation and heal the gut. Depending on the severity of your illness or just feeling tired and sluggish, we will tailor your detox for your needs. Many undesirable symptoms can be alleviated by detoxing and by figuring out the foods that wreak havoc on your body. The undesirable symptoms can be to name a few: headaches/migraines, insomnia, pain and inflammation, difficult menstrual cycles, infertility, difficulty in losing weight, digestion problems, feeling sluggish and puffy, etc. Sometimes it is necessary to do further testing called the Alcat test from Cell Science. We will be your guide in supporting you through your cleanse. If you would like to help determine your need for a detoxification program, please go to the toxicity questionnaire. 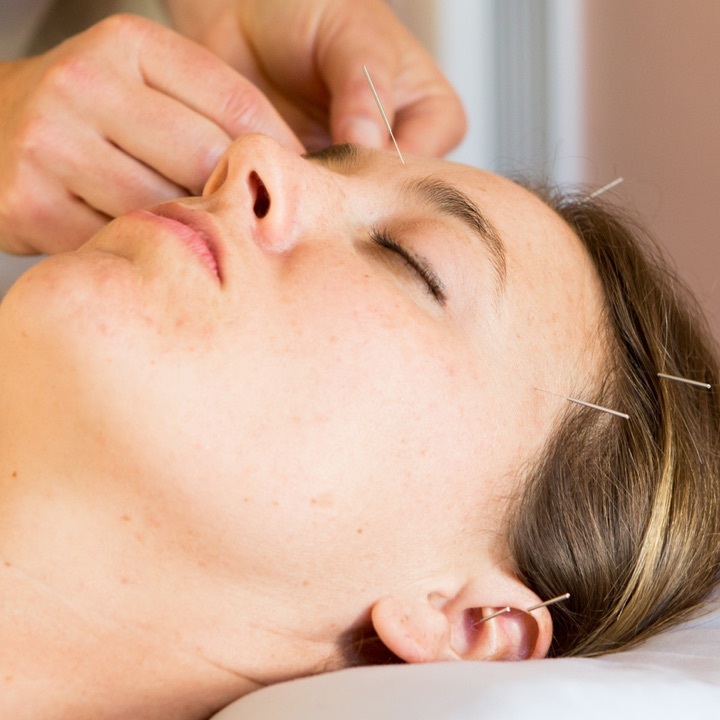 Facial rejuvenation entails facial acupuncture plus body points to bring blood and Qi flow to the face to nourish and lift the muscle energy in the face and neck. We discuss lifestyle changes such as sleep habits, diet, exercise, digestion to enhance the acupuncture treatments. Herbs and a facial are usually recommended to support the whole body treatment. Fine lines soften, skin discolorations can dissipate, a healthy glow is apparent, and better health internally are positive results with this treatment of acupuncture 2x/week for 5 weeks. This is not a face lift; I like to call this program a “health lift” with emphasis on the beauty of the face! Herbs are singly wonderful and when an herbalist creates a formula of single herbs, the synergy of them together becomes a great internal medicine healer. Creating an herbal formula for our patients and giving acupuncture are the art form of being a traditional Chinese medicine doctor. We use Chinese herbs mostly and some western and Ayurvedic herb blends. Herbal formulas are meant to help heal internally to the external and are created specifically per person for his/her ailment. Herbs can be used for upper respiratory issues, digestive problems, high blood pressure, insomnia, depression, stress, pain, autoimmune diseases, etc. Herbs from nature are our medicine. All acupuncturists in California become Chinese herb herbalists. We at Branches of Wellness Acupuncture use Chinese herb formulas and blended herbal formulas with Ayer Vedic, Western, South American herb blends as well. Herbs are very effective internal medicine if used correctly by diagnosing each person’s ailments correctly. We can tailor your herbal formula specific for you! Herbs emphasize your acupuncture treatment and help to increase healing more quickly. For instance, some women in menopause have terrible hot flashes, insomnia, and/or night sweats. Other women may experience depression with these symptoms, adult acne, and/or PMS-like symptoms. These are two different types of menopausal symptoms which would need different herbs to support and balance her body. https://microbiomelabs.com/register/?ref=113B to order your own Megasporebiotic and Restorflora probiotics. Acupuncture, herbs, and certain supplements work wonders for women’s health! We analyze your symptoms through traditional Chinese medicine and saliva testing using ZRT Laboratory and/or blood hormone testing to find the best protocol for relieving imbalances and symptoms. Your symptoms may be: bad PMS, hot flashes, night sweats, insomnia, heavy bleeding, bad cramps, clotting, irregular cycles, anxiety, depression, easy cry, food cravings, bloating. We can make it better! Most athletes we have worked with heal incredibly quickly if they receive acupuncture immediately after injury in the acute stage. If the injury becomes chronic, the person suffers more emotionally and physically, as he/she is unable to play his/her sport. Chronic injury can still heal but takes longer with more perseverance. We can use cupping, acupuncture, electro-acupuncture, gua sha, and acupressure to work on the injury to invigorate blood flow to the injury site, clear inflammation and swelling. Acupuncture naturally calms the mind and relieves the stress (anger and sadness of being injured) that can be involved with the injury. What is Wellness? Wellness is generally used to mean a healthy balance of the mind, body and spirit that results in an overall feeling of well-being. What is Health? Health and wellness are terms that are often interchanged, but their origins and meanings are different. As established by the World Health Organization (WHO) in the 1940s, health is referred to as, “a state of complete physical, mental and social well-being and not merely the absence of disease.” We believe acupuncture brings health and wellness to our body due to its balancing of the mind/body connection. We have some patients who come once every two weeks, once a month, or every change of season at the solstice and equinox. They tell us that they are “feeling off” lately and that it is time for acupuncture. Some say that they feel balanced and the acupuncture keeps them happy and well. An acupuncture wellness treatment is preventative medicine as well as treating the symptoms in the present moment. A saliva hormone test is another way to test your hormones and cortisol (adrenal stress hormone). This is a convenient test you do at home from a test kit I give you and then you drop it off at the post office. Testing saliva is like a tissue sample which can be more stable than a blood test. Feel free to learn more about all functional medicine testing (finding root cause) we can offer. To test thyroid in detail, we will test by blood through your local lab, which usually your insurance will be billed. We use blood labs to test for inflammatory markers, autoimmune markers, hormones, blood sugar, cholesterol, Vitamin D3, B12, folate, iron panel, etc. to see the big picture for your health. We blend these allopathic blood lab markers with traditional Chinese medicine consulting to find the best well rounded approach for your healing process.